H-man is talkative,likes to tell you what's been going on when you get home. Likes to cuddle, loves to be petted & loves his belly rubs. Likes to play but when he's done playing he's done and it's nap time. Not good with small kids. 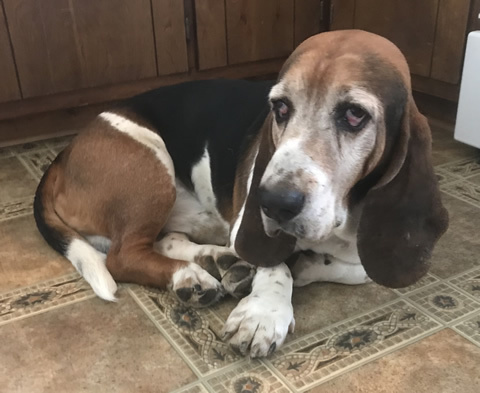 Sam is a senior hound from KY. She was "saved" when 11mo old and they had to live outside because she destroyed the house. She lived outside for 10 yrs. She's been in foster since she came to rescue and she is doing great. 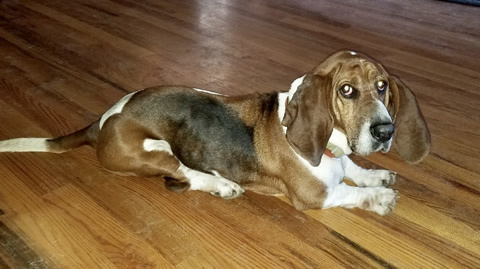 She loves to be with other hounds, she's catching onto house training and loves to be loved on with lots of belly rubs. She just wants to be a couch hound. She's in good health and all vetted. 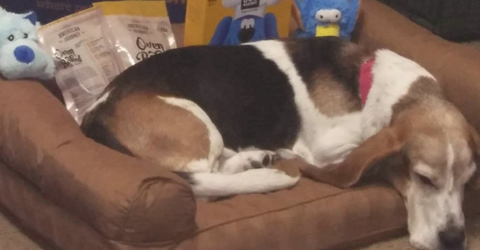 George is a senior hound and was 5 yo when he was rescued to live with a new family. After 5 yrs they surrendered him to the shelter because he chases chickens & cows and they weren't having that. So off to the cold shelter he went. He is house trained and gets along with other dogs, we have no chickens or cows but he prefers laying on the couch and sleeping. He is Ehrlichia positive (tick bourne disease exposure but is on antibiotics for it & will be fine). He just wants to be loved and lay on the couch with you. Ruby is a younger gal that was a stray and has been shuffled around from a temp home, vet and then to scary shelter. Not good with kids. She needs a quiet place to decompress and be loved. Buttercup and Daisy are both senior gals. Their owner couldn't care for them any longer and took them to the vet where they contacted us asking to find them a home. 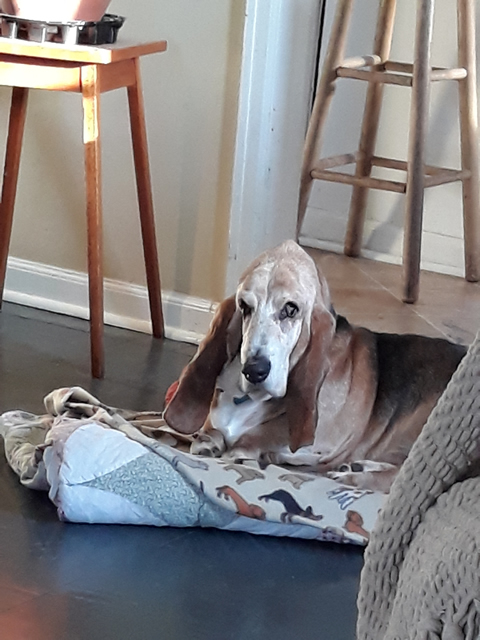 They've been fully vetted and are in their foster home sleeping peacefully (leaning towards foster failure :) Thank you Carl for fostering 2 senior girls. They look pretty comfy and loved. Tobias is over 10 yo boy. He was surrendered when family didn't have time for him and several kiddos. He is beautifully house trained and goes out to potty often. He likes to hang out by the bird feeder and birdie and squirrel watch. He likes a fat fluffy pillow and needs a new family. He has such a low bark and likes to sleep a lot. Needs a fat fluffy pillow to sleep his day away and dream of birdies. Willa was found as a stray and taken to the shelter. She's been vetted, she's a senior gal and sometimes gets grumpy. She likes to sleep. She does have dry eye and sight problems. She just needs a quiet place with no small kids. A nice fluffy pillow and some sun thru the window to sleep in, and a few belly scratches. 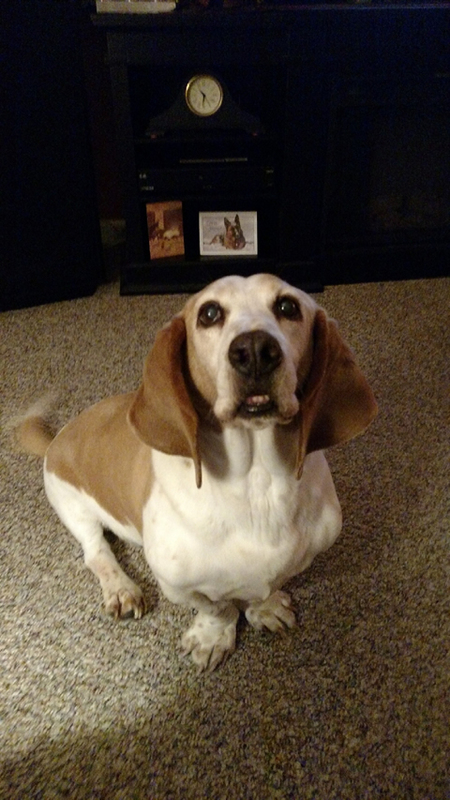 Jackson is 13 yo and is in good health. His owner passed and care taker is looking for someone to adopt him. He's house and crate trained. He's been alone a lot for the last several years and wants to be loved on and cuddled again. He needs a big fluffy pillow and a place to call his own with a family to love him. Look at that face. 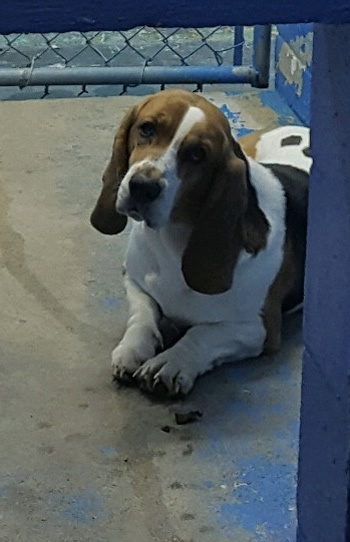 Oakley was found as a stray, no owner came for him so he was sent to the shelter. He's learning to use the dog door. Doesn't like going out in the rain, likes to sleep on the couch and snuggle with his foster family. He gets along with other dogs, not sure about cats. He just likes a good place to hang out with the family. Jax is fully vetted and gets along well with other dogs. Uses the doggie door and loves attention. He does fine with cats. Follows his foster mom around, loves to be outside on good days to sniff out any other critters. 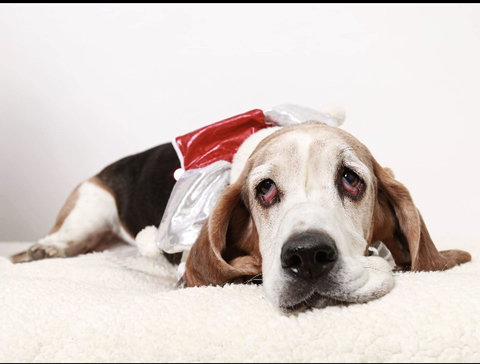 He is used to being spoiled and loves a good nap, He wants to be your buddy. Are you ready to be Jax buddy? Bucky was sent to us due to his owner loosing his home. He is fully vetted, He knows sit, wait, down and is house trained. He is eager to learn & listens well. Ok, listens well for a hound. He's a super love bug and loves to be brushed. He is food aggressive so highly suggested no small kids and when fed he needs to be fed separate from other dogs or crated to eat. He likes to get comfy on the couch. And I bet he watches ball games. Mindy is 6yo on the L (lemon & white) & Chloe is 15 yo tri color. They've had a tough few months. Their mom passed away unexpectedly and their brother & sister were left homeless with 2 dogs. The kids have help now but Mindy & Chloe need a home together. Great dogs, good with other dogs, a little too inquisitive about cats, good with kids. He is fully vetted. 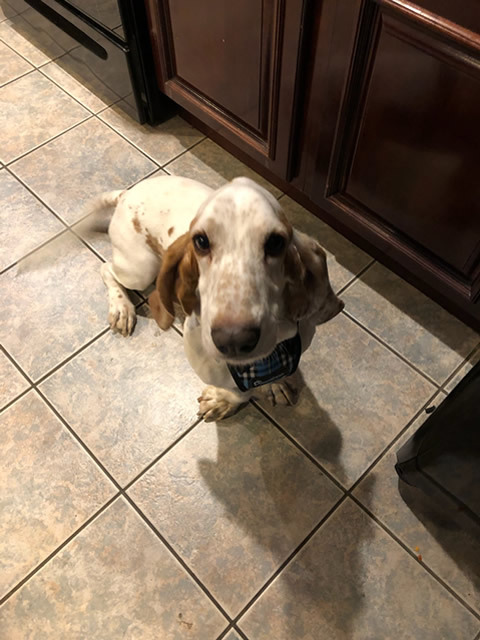 He is an active dog and will need a fence. He loves to play, loves the toys, loves to eat. 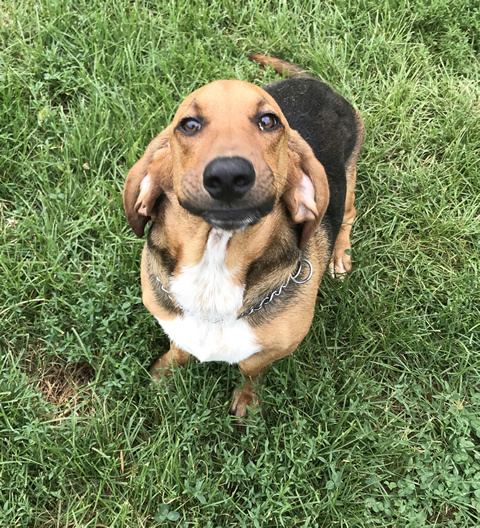 He's a happy boy and wants loved on. He does need some manners training as he likes to jump. So better to have older kids so not so rambunctious. Look at that face.